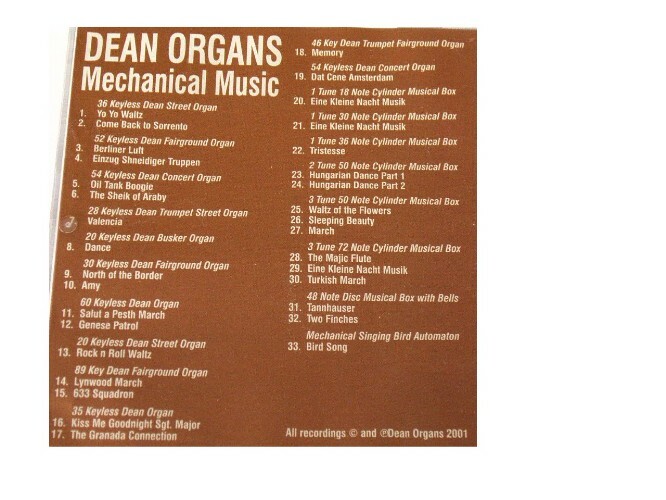 This mechanical music CD features 33 popular tracks played on a selection of various sized fairground, street, and concert organs manufactured in our own workshops here at Dean Organs, and musical boxes from our own retail shop The Music Box Shop. You will be able to listen to such well known tunes as 'The Sheik Of Araby', '633 Squadron' and 'Memory' plus many more. 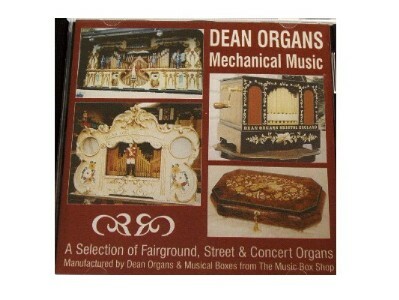 The perfect gift for the organ and music box lover.